Gov. 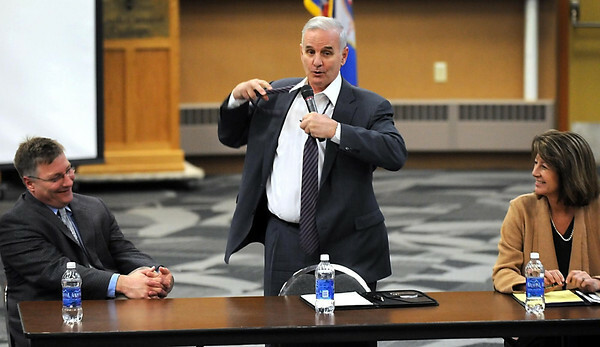 Mark Dayton takes off his tie at the beginning of a town hall meeting answering questions about his proposed budget Tuesday at South Central College. With Dayton is Mankato mayor Eric Anderson, left, and Minnesota Department of Health and Human Services commissioner Lucinda Jesson.